Home » In Home Care » What Does In Home Care Cost? Among the elderly needing daily living assistance, 65 percent rely exclusively on families and friends for senior care, according to a Health Services Research (HSR) report. But not all seniors have families who can help them as often as they might need due to certain obligations like jobs or not living nearby. Home health care can step in to bridge that gap. Home health care includes many types of care such as occupational, physical or speech therapy or skilled nursing. Other types of in-home care are based on providing help with daily living activities like eating, bathing, dressing, cooking, cleaning or monitoring your medication regimen. The costs of these services vary by region. The 2017 Genworth Cost of Care Survey reports that the monthly cost for a home health aide is $4,099. The median cost nationwide for 44 hours of care per week turns out to be about $125 a day. Of course, the actual costs depend on your location, the services you use and the amount of service you request. 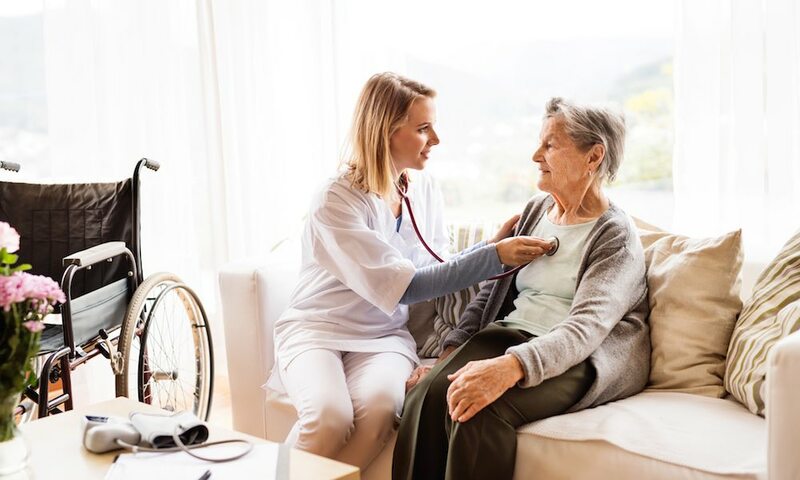 There are usually two types of home health care – one is medical-based, while the other is more daily living-oriented, but most companies providing home health service offer both or a combination of the two. Medical care consists of changing bandages, administering certain medication and providing various therapies, while home-related care can be help with grocery shopping, housekeeping, bathing, dressing, grooming, eating, using the toilet and getting around. As your needs change, you can add or subtract services, so it might be wise to contract with a company that provides the most services. Both home health aides and homemaker aides cost about $21 an hour. The National Council for Aging Care reports the most expensive places for home health care are in North Dakota, Alaska, Hawaii, Massachusetts, Minnesota and Rhode Island, while the least expensive states are Louisiana, West Virginia, Alabama, Arkansas, Mississippi, Georgia, North Carolina and Tennessee. The government provides a tool with detailed information about every Medicare-certified home health agency in the United States. You can use it to narrow down your choices based on location and needs. You’ll also have peace of mind with the knowledge you are dealing with people who have been vetted and investigated before they come into your home. You will need to choose hourly or daily rates and think about whether you need to consider nightly rates. All rates are different, so be sure to get everything in writing. Make sure to check references, choose experienced and long-lived companies, get recommendations from others who have used the business’s services and ensure the company is insured and bonded. Due to the aging Baby Boomers population, the number of older adults in America will continue to grow – from 35 million in 2000 to more than 80 million by 2050. That means more services will crop up across the nation to keep pace with the needs of the elderly. Paying for home health care usually comes out-of-pocket for seniors, but may be covered by long-term care insurance and the Veterans Administration. Medicare Part A or Part B may cover some skilled nursing care services, but you would need to check with your senior’s doctor about the specifics. 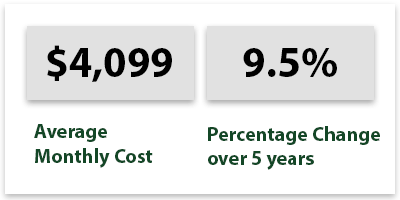 One of the most influential factors in your search for senior housing is cost. Often, the reason elderly adults decided to age in place is because of cost. Home health care is often used to supplement the medical care that individuals would receive if they lived in a facility. We have ranked the cities below from least expensive to most expensive to give you a good picture of what the cost of care is.